Certified Specialists in Tax Law. Certified Specialists in Estate and Trust Law. Al, who is also a C.P.A., is a native of Arizona and was admitted to practice law in Arizona and Illinois in 1966 and before the U.S. Tax Court and U.S. Supreme Court in 1970. He was educated at the University of Arizona (B.A. with distinction, 1962); Arizona State University (M.S., Accounting, 1964); and Northwestern University (J.D., 1966); and elected to the following honoraries: Phi Beta Kappa; Beta Gamma Sigma; Beta Alpha Psi; Phi Eta Sigma; Phi Theta Delta; and Phi Kappa Phi. Al's activities since forming the law firm have included: the American Bar Association, Section of Taxation; Committee on Agriculture, Chairman, 1976-78; Committee on Continuing Legal Education, Chairman, 1982-84; Section of Real Property Probate and Trust; State Bar of Arizona, Section of Taxation, Chairman, 1977-78; Life Member of American Law Institute; and Central Arizona Estate Planning Council, President, 1972-73. Al is a Fellow in both the American College of Tax Counsel and the American College of Trust and Estate Counsel where he has been State Chair and a member of its Board of Regents. He was elected an Academician in the International Academy of Estate and Trust Law and served for several years on their Executive Council. In addition to his services to his profession, he served for many years on the Phoenix Advisory Board of the Salvation Army and as Regent of Sigma Nu Fraternity, Inc.
Al is co-author of a book and numerous articles on tax law, a frequent lecturer, and has served on the Board of Advisors for ALI-ABA Audio Estate Planner and The Practical Real Estate Lawyer. He is both a Certified Specialist in Estate and Trust Law and in Tax Law having served several years as Chairman of the Tax Advisory Commission, Arizona Board of Legal Specialization. 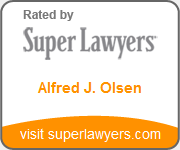 He has been for many years rated as a AV® Preeminent™ lawyer and listed in Super Lawyers, Who's Who in America, Who's Who in the World, and for more than 30 years, Al has been listed in The Best Lawyers in America.